The Gerogery Commemoration Hall was erected in memory of those from the district who served in World War One. 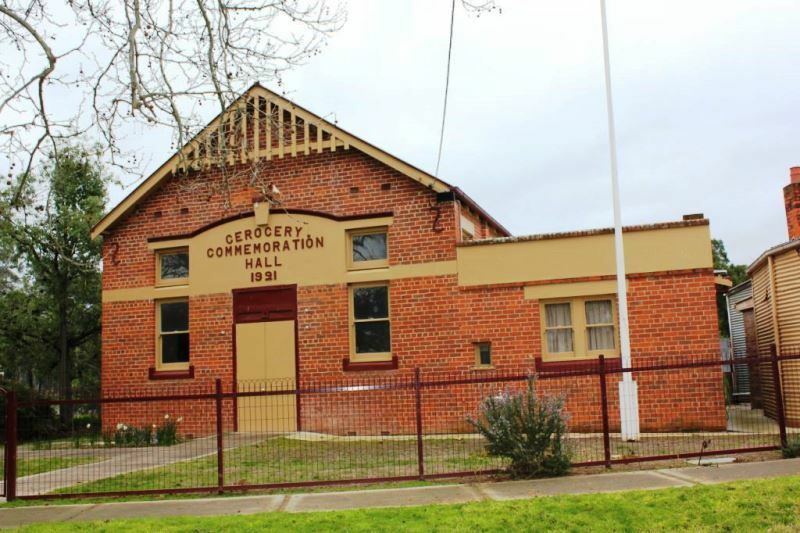 The new commemoration hall (a very nice building), just completed by Mr. W. T. Thorne, of Albury, will be officially opened on Saturday night after the conclusion of the football match, Gerogery versus Walla. Albury Banner and Wodonga Express (NSW), 20 May 1921.